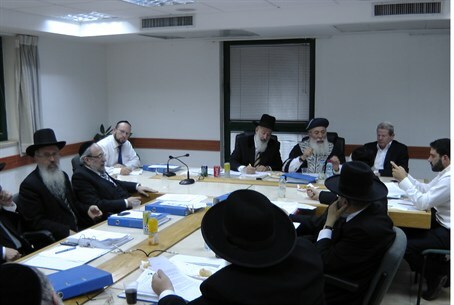 The Chief Rabbinate on Sunday issued a notice in which it said that hotels and restaurants that hold “Sylvester” parties – better-known in the West as secular New Year's Eve parties – should realize that they may not be able to advertise their parties as kosher, because a kashrut supervisor would be unavailable to ensure that the laws of kashrut were being followed. The Rabbinate said that it was aware that, according to Israeli law, the only criteria that could be considered in the granting of kashrut certificates – which are required for an establishment to call itself “kosher” - is the legal status of the food itself. The law does not allow the venue or event where the food is to be served to be a factor in deciding whether or not the Rabbinate issues a certificate. However, the certificates are issued, the Rabbinate said, only on the condition that the supervisor has full and open access to the venue and the kitchen where the food is being prepared. Thus, the Rabbinate does not issue certificates to establishments that are open on Shabbat, because the supervisor is unable to carry out his duties under those circumstances. The same could apply to parties on “Sylvester eve,” as the occasion is termed in Israel. “A Jew is not permitted to attend an event that is part of the worship of idols, or the ceremonies of a non-Jewish religion.” Far from being a “secular” day, New Year's Eve and New Year's Day is a religious Christian holiday, and as such Jews are not permitted to participate in it. Since the supervisor, who is a religious Jew, cannot enter the venue, the Rabbinate will be unable to issue certificates to venues that hold such parties, even if they have been granted a certificate for the rest of the year.